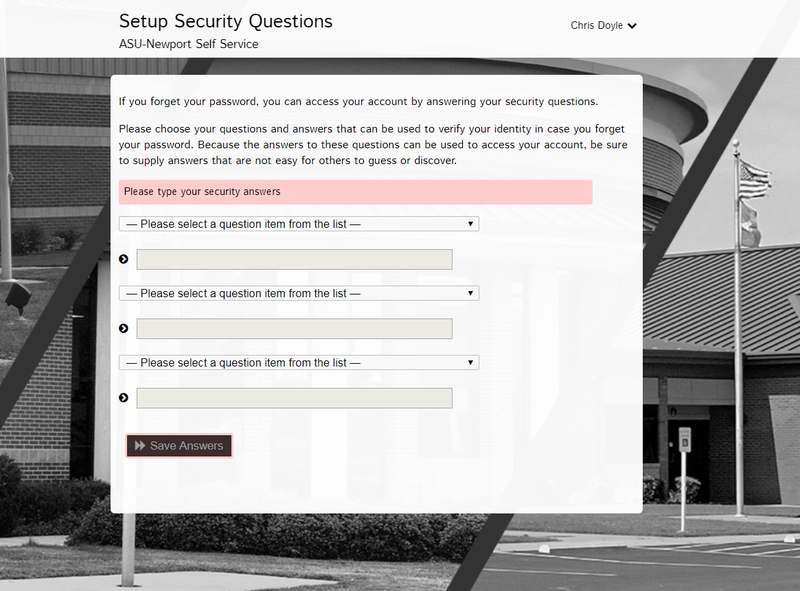 To reset your ASU-Newport password, ITS has created a simple easy-to-use website. The website is https://selfservice.asun.edu . Here you can set up security questions for recovering your password, reset your password, or recover your password. First, go to https://selfservice.asun.edu then log in the site using your ASU-Newport email address and password. Once you are logged in the first time you should be presented with the steps to create recovery questions as shown below. Once saved you will be able to use this feature if you are ever locked out of your account.